The US Government experimented people with LSD during the 1950's. The CIA fed people with LSD and monitored their behavior in one such experiment. In another experiment, Oscar janiger, a University of California-Irvine psychiatrist experimented with a artist by giving him a box full of crayons and asked him to draw while taking LSD. The artist drew the same portraits for 9 times over a period of time. 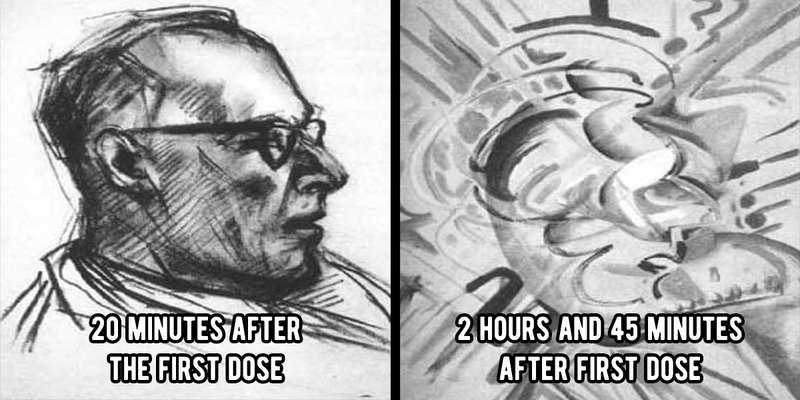 Here are the series of portrait which captures the artist's drawing on acid.